Some branches of motorsport feel like they have been around for as long as we’ve had motorized vehicles. From the inception of the very first engines, people have always wanted to go faster, whether it’s making loops around a track or trying to reach the fastest land speed ever recorded, we love speed. In the case of hill climbing, the often overlooked discipline has been part of the landscape for over a century now. We dug up this really cool retro video of some old-time hill climbing action and we thought we’d take a look at the history of the sport that goes far beyond simply climbing up a hill. It sounds fairly straightforward, the name of the discipline says it all: race the clock to the top of a hill to be the king of the mountain. On paper, it’s simple, but once you put it into action, you realize just how much physics are working against you. Picture a ski hill but not the beginners’ course: think blue square and black diamond realm. The riders face hundreds of feet uphill on rugged slopes, facing inclines as steep as 40 degrees. Though proper competitive hill climbing dirt bikes have been modified with a stretched out wheelbase and dirt-gripping tires, one wrong move could send you tumbling down after Jill. Daredevils have been defying gravity for over a century now. The earliest event of motorized hillclimbing was recorded in 1897 at La Turbie, in the French Riviera. 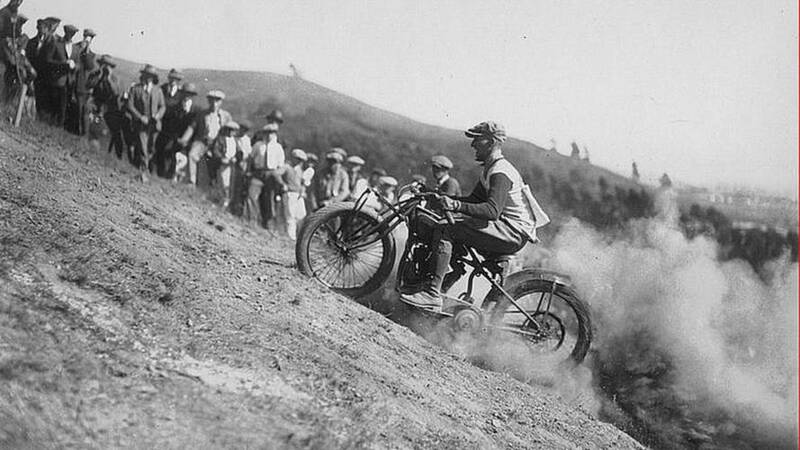 Motorcycles were invented a few years later and almost immediately took to hill climbing as well. Indian Motorcycle used hill climbing as a way to test its new models and show their capability to an ever growing crowd of curious onlookers. At the time, most of the “climbing” was done at Springfield, Massachusetts’ steepest hills. The demonstrations soon turned into recurring events and, in 1905, officially became a competition with Triumph pitting the riders against a clock. Harley-Davidson joined the party in 1910. Americans were particularly fond of the sport and over the course of the following decade, the discipline thrived thanks to an increasing number of participants with a peak in interest in the 20s. Even the legendary Herbert James “Burt” Monro tried his hand at hill climbing in 1926, 40 years prior to becoming one of the fastest men in history. The Hill of Thrill in Orange County, California became one of the hubs for hill climb thanks to the Capistrano Hill. From a few thousand spectators in the mid-1910s, the event gathered enough notoriety to gather over 50,000 visitors by 1923. 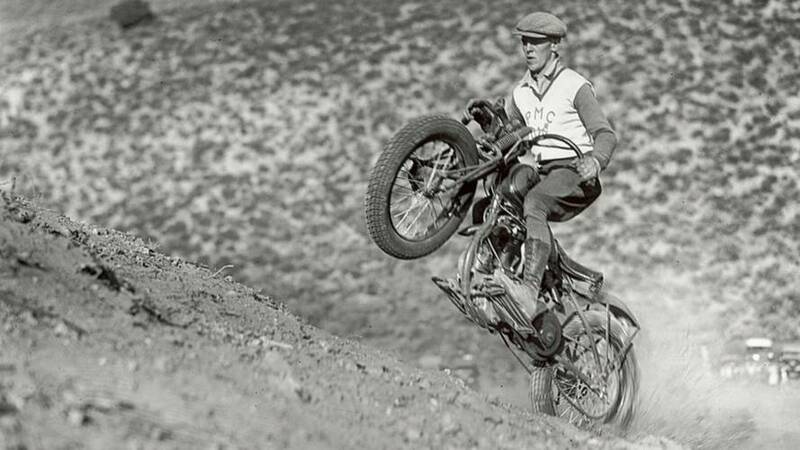 By then, “hill climbers” motorcycles were a thing, modified to better serve their purpose. The diversification of the competition classes to allow smaller displacements marked the beginning of the end for the discipline as spectators found bulky, heavy, twin-powered rides to be more interesting to watch climb a hill than small 350cc. With the growth of motorsport and the addition of new branches to the tree, the public’s attention slowly turned away from hill climbing, marking a long decline of the discipline. The practice almost almost completely disappeared, until 2008, when the Daytona Motorsport Group gave hill climbing a second chance at life. The audience was ready to see a comeback and renewed interest in the discipline allowed hill climbing to make a comeback in a number of motocross events, including the Great American Pro Hill Climb that celebrates its 100th Anniversary this year.